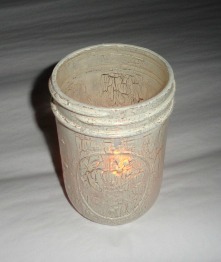 I am still hard at work trying to get everything created for my daughter's wedding. 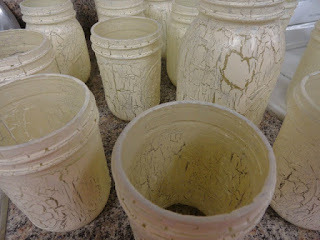 The other day I coated my remaining mason jars with the crackle medium. 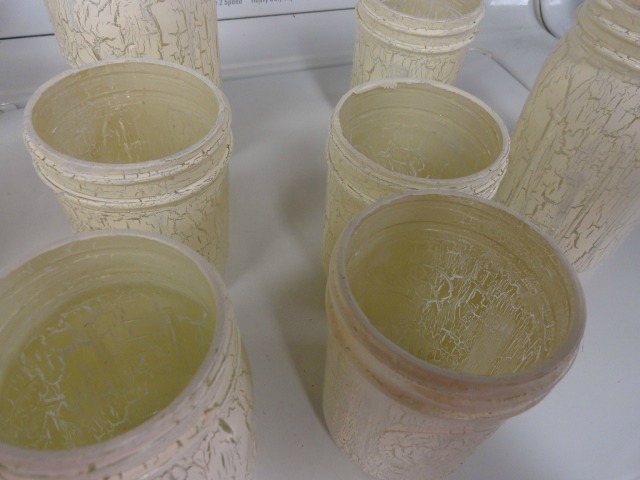 They had plenty of time to dry and were ready to be painted. I really am happy with how they have turned out so far. I plan to add a clay heart tied to the top of each jar. 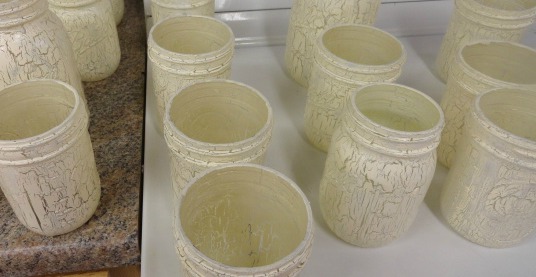 Each jar will have a battery operated tealight inside. I really think they will be lovely with the lighted tree branch centerpieces on each table. Creating these jars as part of the wedding decor is really a cost effective way to add ambience to your event. They are also very easy to do. Low skill level is needed to complete this project. If you can use a paint brush, you are in business! !